Sri Lanka Cricket on Sunday initiated a criminal investigation and suspended two men who allegedly agreed to tamper with the pitch to alter the result of the upcoming Test against England. Officials said Tharanga Indika, the curator of the Galle International Stadium who was featured in the Al Jazeera sting on corruption in cricket and broadcast Sunday was suspended along with a club player Tharindu Mendis. 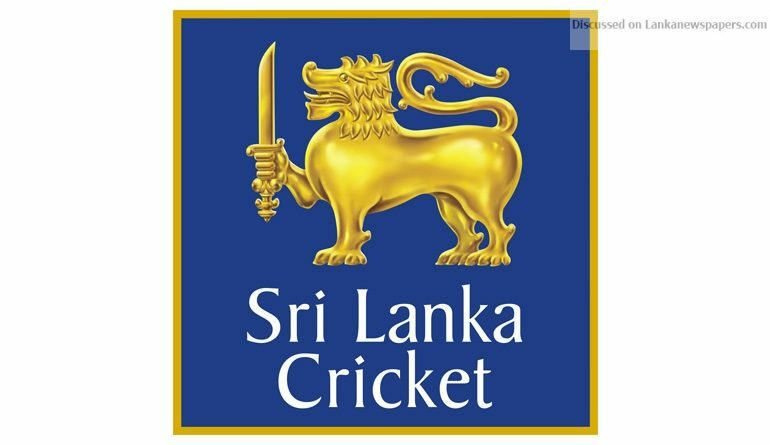 “Sri Lanka Cricket decided to suspend with immediate effect the alleged individuals involved in the said incident against whom the ICC is carrying out investigations,” the SLC said in a statement. the board had an emergency meeting to discuss the Al Jazeera documentary broadcast Sunday after parts of it were released on Saturday implicating the two Sri Lankans. The International Cricket Council (ICC) had said that it took the allegations reported in the Al Jazeera documentary “very seriously” and urged “all evidence and supporting material” to be shared with the investigators. SLC said it also appointed a three-member panel to study the issue and make recommendations to prevent any corruption at future tournaments in Sri Lanka. The panel headed by Mohan de Silva will include Air Commodore Roshan Biyanwila and Channa Weerakkody. They are expected to submit a report within three days. The board lodged a formal complaint with the Criminal Investigation Department which launched an investigation. Al Jazeera footage showed the two Sri Lankans talking about doctoring pitches during a meeting with an undercover reporter. The men were reportedly discussing ways to prepare the pitch to ensure that the first Test at the Galle ground in November against England would not end in a draw and would yield a result in less than four days. A former curator of the Galle International Stadium, Jayananda Warnaweera, is already under an ICC ban for three years until January 2019 for failing to cooperate with a previous anti-corruption investigation.